Thank you to everyone who attended the 40th Anniversary Celebration on Thursday. We had a great time Friday morning celebrating during a whole school assembly and with fun activities. 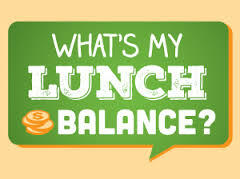 Starting September 28, Albany County School District will send automated text messages each week on Friday at 6:00 pm to parents whose students have a $0.00 or negative lunch balance. If you have any questions, please call Central Kitchen at 307-721-4482. SMS stands for Short Message Service and is commonly referred to as a “text message”. Most cell phones support this type of text messaging. Our notification provider, SchoolMessenger, uses a true SMS protocol developed by the telecommunications industry specifically for mass text messaging, referred to as “short code” texting. This method is fast, secure and highly reliable because it is strictly regulated by the wireless carriers and only allows access to approved providers. If you’ve ever sent a text vote for a TV show to a number like 46999, you have used short code texting. Common sense tells us that kids who miss school miss opportunities to learn. Some absences are just unavoidable. But, how much is too much? New research tells us that missing an average of just two days a month makes a child much more likely to fail a subject or to not graduate from high school. This research also points out that parents often underestimate the effects of missing school. It's in everyone's interest that students are at school the vast majority of the time. Thank you for making attendance a priority at Linford Elementary School. For more information feel welcome to visit the website below. It is our goal at Linford Elementary to differentiate our instruction as well as practices to meet the needs of students. We are sensitive, that is, to the needs of individual students in order to maintain a safe and optimal learning environment. Currently some of our students have contact allergies to peanuts. These allergies are severe and can result in life threatening situations. Therefore, we ask that parents consider not sending their students to school with any food items that contains or has been manufactured on equipment with peanuts. We recognize that it is an inconvenience and appreciate the community effort that you all are willing to extend to assist us our attempts to have a safe environment for all students. If you have any questions or concerns, please do not hesitate to call Mr. Hardesty.